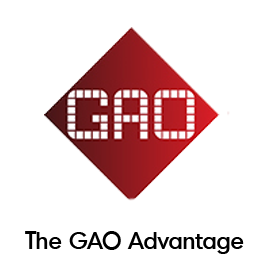 UHF 860-960 MHz RFID Antennas | GAO RFID Inc.
Our selection of 860-960 MHz RFID Antennas are designed for global applications and provide the options you need to obtain a maximum gain/beamwidth ratio and the correct polarization. 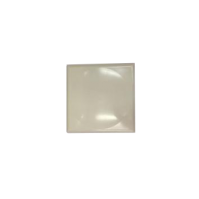 Whether you need a wide beamwidth with a lower gain or a more focused beamwdith with a higher gain, we stock the 860-960 MHz RFID Antennas that will provide you with the correct solution. We also offer a range of linearly or circularly polarized antennas to ensure you create the most effective read zone. 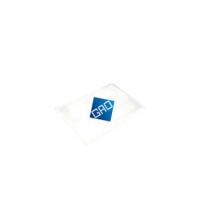 GAO RFID presents a selection of UHF 860-960 MHz RFID Antennas with different protocols that are designed for global applications and ensure that users achieve the highest read rate. UHF technology is expanding the boundaries of data collection speed and accuracy and GAO´s UHF 860-960 MHz RFID antennas provide the options that users need to obtain a maximum gain/beamwidth ratio and the correct polarization. These kinds of antennas are available at UHF 860-960 MHz frequency range and some of them are compliant with the Restriction of Hazardous Substances (RoHS) directive and CE 0682. Furthermore, several of these antennas support various protocols such as ISO 18000-6C, ISO 18000-6B and EPC Class 1 Gen 2 standards. Also, antennas of this kind have different types of International Protection rating (IP), which classifies the degrees of protection provided against the intrusion of solids and liquids. The UHF 860-960 MHz antennas have IP41, IP51, IP54, IP66 or IP67 protection standards by which they can withstand different environment conditions. According to these standards, some of the antennas offered could withstand both indoors and outdoors environments, and others are suitable for indoor use only. Another key feature for the antennas is that they have effective resistance to alternating current, arising from the combined effects of ohmic resistance and reactance. This is also known as impedance, and the classification for the UHF 860-960 RFID antennas is 50Ω. 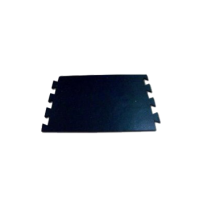 We provide UHF 860-960 MHz RFID antennas in different form factors and materials. Most of them are built with durable, resistant materials such as aluminum, plastic, and metal and come in convenient colors such as white, black, and gray to fit into the décor of any environment. 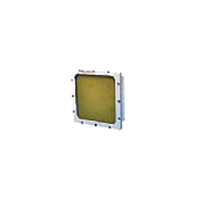 The UHF 860- 960 MHz antennas ensure the highest read rate and can have applications in many industries and business segments. These antennas can be used for many different applications such as flow management for goods flow and warehouse management and email, package, luggage transport, production management, production process, identification of production process fixed point, airport luggage conveyor belt identification, entrance guard channel management, and filing cabinet management. Other applications for these antennas also include access control, ticketing, document control, high-speed encoding stations, packaging lines, parking systems, distribution, and harsh manufacturing or processing environments either indoors or out. 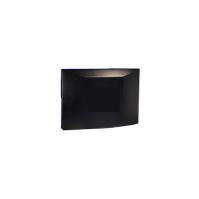 Our large selection of 860-960 MHz antennas will provide the solution you need for your RFID environment. 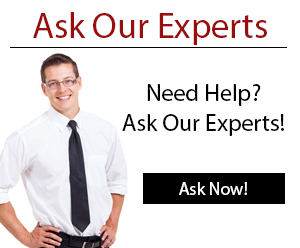 If you require any assistance selecting the right antenna for your system, our Experts are ready to help. 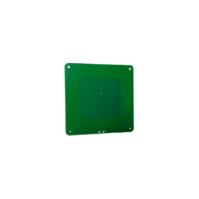 This UHF 902-928 MHz 9dBic RHCP RFID Antenna circular polarization is designed for side or overhead mounting and delivers highly reliable read rates. 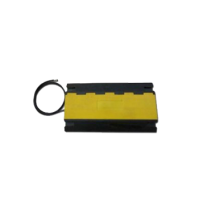 This traveling wave RFID antenna is specially designed for installing in any shape which serves the project in the best possible way. With a read range of up to 6.5 feet (2 m), its 360° read angle and is perfect for any application. This rugged 865-870 MHz antenna has an all metal enclosure protecting its components making it extremely resistant to damage. 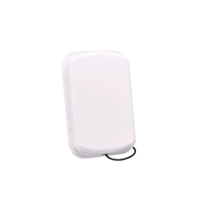 This UHF 860-960 MHz Ultra-Thin RFID Antenna provides a unique RF pattern reads RFID tags directly above the surface and allows for fine reading control. 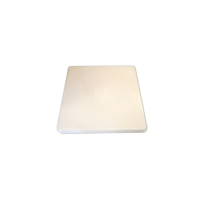 This UHF 860-960 MHz 10dBi RFID panel antenna covers a wide range of applications and offers quick read/write speed and high data security. 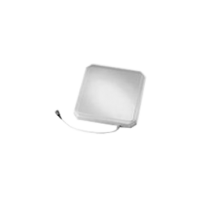 This UHF 860-960 MHz 7.8 dBi RFID Antenna has a rugged compact design with circular polarization to provide maximum performance and flexibility. 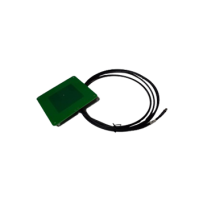 This mini RFID reader antenna operates effectively at a read distance of 0.4″ (7.5 cm) and is specifically designed for demanding item-level deployments. 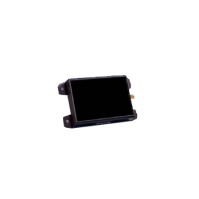 This UHF 860-960 MHz Single Port UHF RFID Antenna provides an N-Type Female connector and a low axial ratio that delivers more uniform gain for superior performance. This circularly-polarized antenna supports a stable delivery of UHF energy in a radial symmetrical pattern allowing for the ability to read RFID tags regardless of orientation. This UHF 900 MHz antenna is designed to operate with the 8 port Gen 2 reader and any application requiring circular polarization for transponder reading. 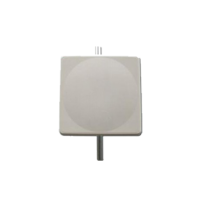 This UHF 900 MHz 7.5 dBi Reader Antenna Circular has a RP female TNC connection and provides a 70° beamwidth. 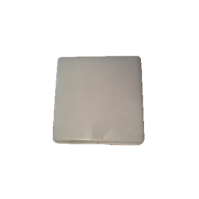 This UHF 900 MHz 8 dBi RFID Antenna is designed with linear polarization, provides a 70° beamwidth, and encased in a IP67 rated casing for outdoor use. 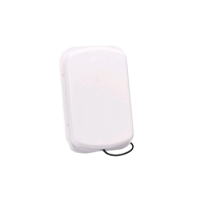 This UHF 900 MHz Circular Polarization Indoor RFID Antenna is waterproof and easy to install with the 4-port Gen2 fixed reader. 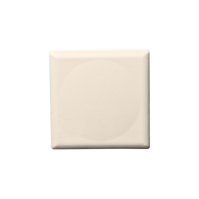 This UHF 900 MHz Circular Polarized RFID Antenna provides good performance and is suitable for operation in most indoor environments. This 900 MHz antenna is designed to operate with any application that requires a circular polarization for transponder reading/excitation. 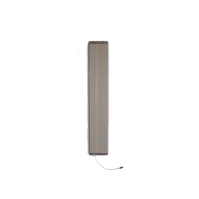 This 902-928 MHz Guardwall antenna provides a tightly controlled read zone and intense RF field and is ideal for item-level reading of packed goods. 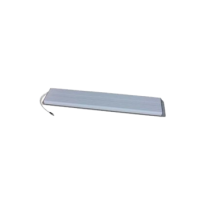 This linear polarized RFID antenna features wall/ceiling mounted design and is suitable for operation in most indoor environments. This 900 MHz antenna is designed to operate with any application that requires a linear polarization for transponder reading/excitation. 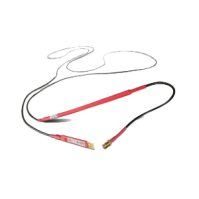 This UHF 900 MHz Reverse Polarity RFID Antenna Cable is used to connect UHF Readers to UHF Antenna and as an extension for SMA reverse polarity wireless antennas. 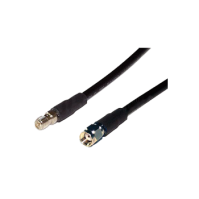 This UHF 900 MHz cable is a coaxial cable for extending your existing antenna cable, with SMA male on one end and SMA female on the other. 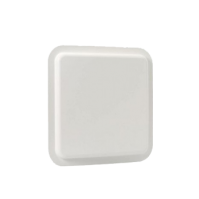 This UHF 900MHz 12.5dBi RFID Reader Antenna Linear provides a 42° beamwidth and has a N-type female connector. 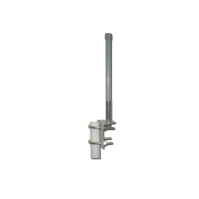 This UHF 900MHz 7 dBi LHCP UHF Antenna is housed in aluminum with conversion coating enclosure and provides a 75° beamwidth. 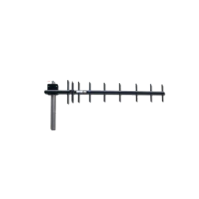 This UHF 902 MHz 2-in-1 Antenna is designed to operate with the 8-port Gen2 reader and can also be used with circular polarization for transponder reading/excitation applications. 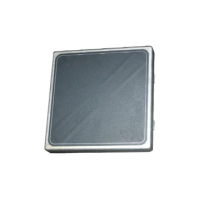 This 902-928 MHz RFID sector antenna is applicable to the airport baggage identification and entrance guard channel management. 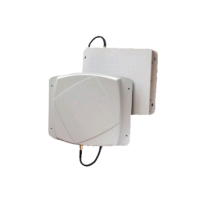 This UHF 902-928 MHz easy installation panel antenna features quick read and write speed, high data security, and a long read/write distance. 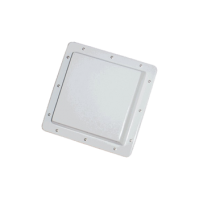 This well designed UHF 902-928 MHz RFID panel antenna is light weight, and features easy installation and operation. 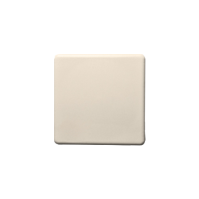 This UHF 902-928 MHz RFID panel antenna is light weight with a small form factor and provides high read/write speeds with increased security. 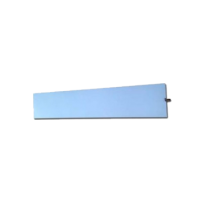 This polarized linear antenna is optimized for the 902 MHz to 928 MHz ISM frequency band. This rugged 902-928 MHz antenna has an all metal enclosure protecting its components making it extremely resistant to damage and extreme temperatures. 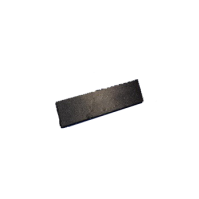 This UHF 902-928 MHz RFID airstrip antenna provides strong anti-jamming capability combined with rugged outdoor all-weather operation for quick and secure read/write speeds. 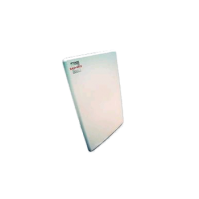 This UHF 902-928 MHz RFID runway antenna features fast read/write speeds, high data security, ease of use, together with a long read/write distance. 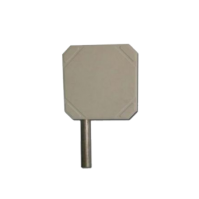 This 902-928MHz RFID sector antenna features compact size and easy installation as well as simple operation. It is well suited for a wide range of applications. 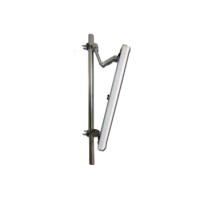 This 902-928 MHz RFID Yagi antenna features fast read /write speed and long read /write distances and is designed for road monitoring and intelligent management. 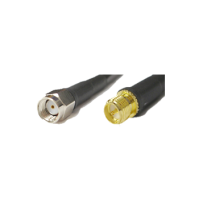 The antenna’s wide beam width provides extensive coverage across a boundary edge, providing a consistent and continuous read zone. 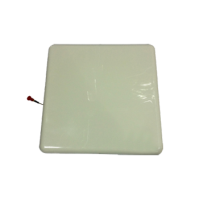 This UHF 902-928 MHz RFID omni fiberglass antenna is suitable for airport luggage intelligent management. 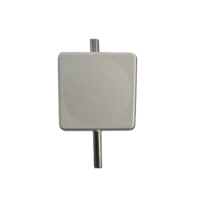 This UHF 902-928 MHz RFID waterproof sector antenna is suitable for road monitoring and intelligent management.